Gong Hei Fat Choy – Select Event Solutions, Ltd.
Congratulations for getting through the last year and be prosperous this year! 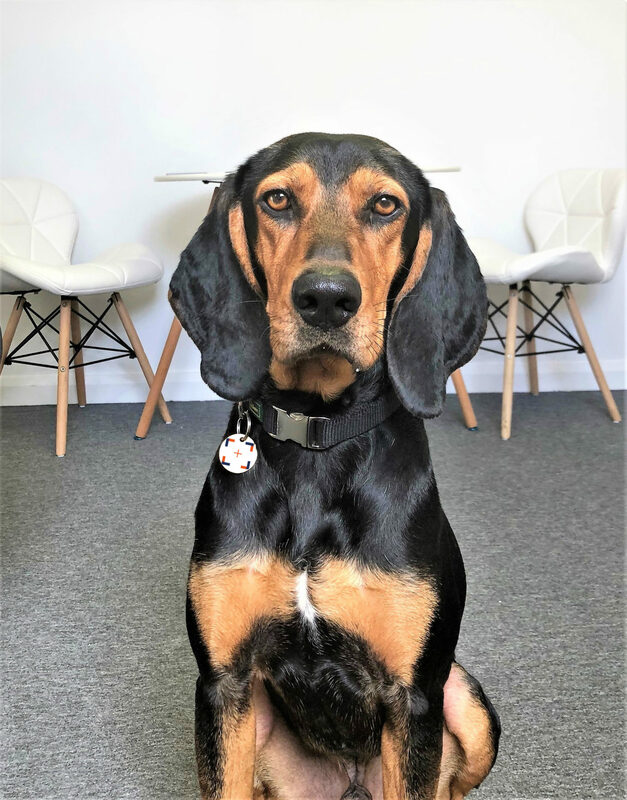 2018 is the year of the dog and at Select Event Solutions our office dog Diesel is settling well into his new routine. He walks in every morning along the Thames tow path from Twickenham to Richmond and then spends the morning snoozing before going for another walk to Richmond Green at lunchtime. Afternoons are spent snoozing, having cuddles, destroying bones and playing with his toys before walking home again in the evening. I briefly mentioned in last month’s blog that I was going to write about the benefits of having an office dog and seeing as it’s Chinese New Year and the Year of the Dog, this month seems like a good time to jot some thoughts down. The benefits, for me personally, include walking, so much walking. I’m averaging 15,000 steps a day, the walk to work each morning gives me time to think about my day and the walk back gives me time to reflect and get ready for home life. The benefits for Diesel include loads of exercise and never being away from me, he’s quite a nervous creature and needs a lot of affection and reassurance. He is cute, he makes people smile – he is an instant stress reliever. Reading up on articles about the benefits of having a dog in the office the top one is always stress reduction. The next top one is that it encourages healthy living with office workers sharing the walking duty – this won’t work for us; Diesel, being a hound, pulls like a train. I’m pretty strong but even I sometimes feel like he’s going to dislocate my shoulder. The Rosewood London – their resident Golden Retriever, Pearl even has her own guide to London, check it out here. Goodwood – where your four legged friend can even have their own membership! Dog friendly hotels & venues please do get in touch, I’m sure Diesel would love to have a look around – I’ll come too!